The Avg. Group Saves 14.7%! Busch Gardens, Colonial Williamsburg, Water Country, Yorktown, Jamestown, Ripley's Believe it or Not Museum, Movie Tavern, William & Mary, Premium Outlets, New Town, High Street, 15 Championship golf Courses, Merchant's Square Shopping, Williamsburg Winery, the Pottery and Nearby government facilities include Cheatham Annex, Yorktown Naval Weapons Depot, West Point Armor Group International Training and Fort Eustis. Good service,clean room and pleasant staff. 18-Nov-2018 Verified Review, stayed from Thu Nov 15 to Fri Nov 16 2018 at a $67.00 average nightly rate. The Fairfield Inn & Suites by Marriott in Historic Williamsburg, Virginia is an excellent choice for travelers to Virginia's historic triangle of Colonial Williamsburg, Jamestown and Yorktown. Located in the heart of Colonial Williamsburg's historic district,this hotel offers nearby attractions including Busch Gardens, Water Country USA, Colonial Williamsburg, the College of William and Mary, Merchants Square Shopping District, Premium Outlets, the Williamsburg Winery and The Pottery. Golfers can enjoy the experience of 15 championship golf courses such as Kings Mill, Stonehouse, Royal New Kent and Golden Horse Shoe. Local Corporations include the National Center for State Courts, Anheuser-Busch, Inc., Camp Perry, Sentara and Riverside Health Systems. Nearby government facilities include Cheatham Annex, Yorktown Naval Weapons Depot, West Point Armor Group International Training and Fort Eustis. 30 advance notice for cancellation of entire group block. Failure to cancel 30 days prior to arrival will result in charge of 1 nights room and tax for each room. Indivuduals may cancel up to 6p.m. day of arrival. Free internet access throughout the entire hotel. 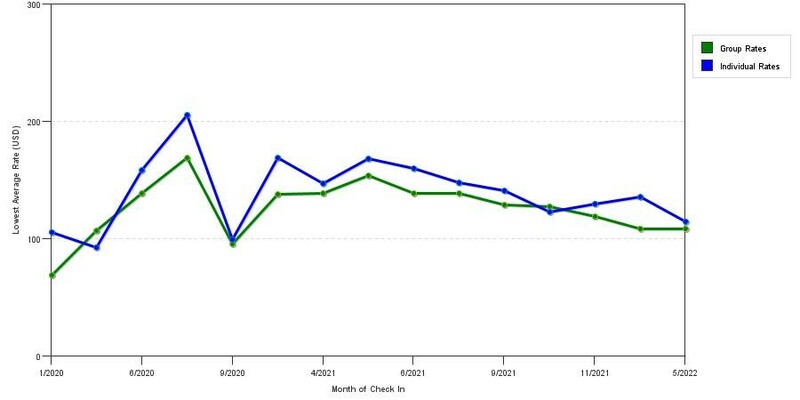 The graph above is fluctuations of room rates for both group rates and the lowest online individual prices our rate checker could find at the time the group bid was placed. The lowest group/meeting rate displayed is 34.9% in the month of January 2020 and the highest average individual rate is $158 in the month of August 2019. This chart will show past seasonality and also project future months. If you are flexible with dates, you may want to consider staying at Fairfield Inn & Suites Williamsburg in a month when rates are lower. 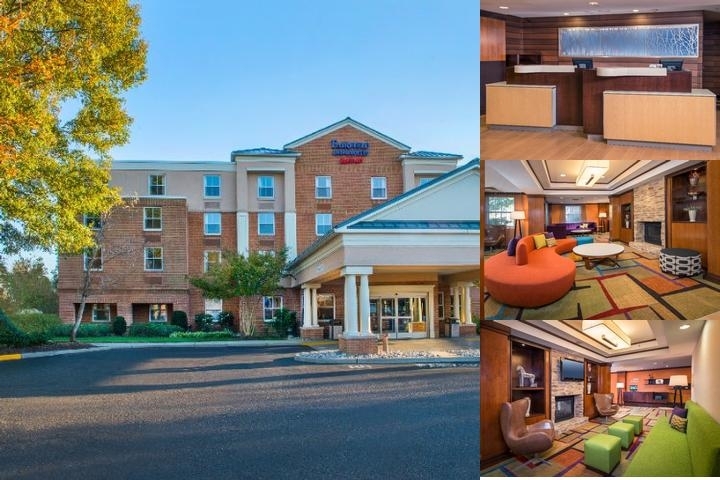 Below are the meeting, banquet, conference and event spaces at Fairfield Inn & Suites Williamsburg. Feel free to use the Fairfield Inn & Suites Williamsburg meeting space capacities chart below to help in your event planning. Hotel Planner specializes in Williamsburg event planning for sleeping rooms and meeting space for corporate events, weddings, parties, conventions, negotiated rates and trade shows. 22 x 13 x 8 Ft.